Sewing blogger Sonja Gingerich (of Ginger Makes) recently started an online fabric shop, Hell Gate Fabrics, specializing in fabrics that are healthier for the environment. This episode, Christine catches up with Sonja about sourcing better fabrics in the murky world of global textiles, as well as her recent transition into working in upholstery (at Five Finger Furnishings) and as a puppet costumer! 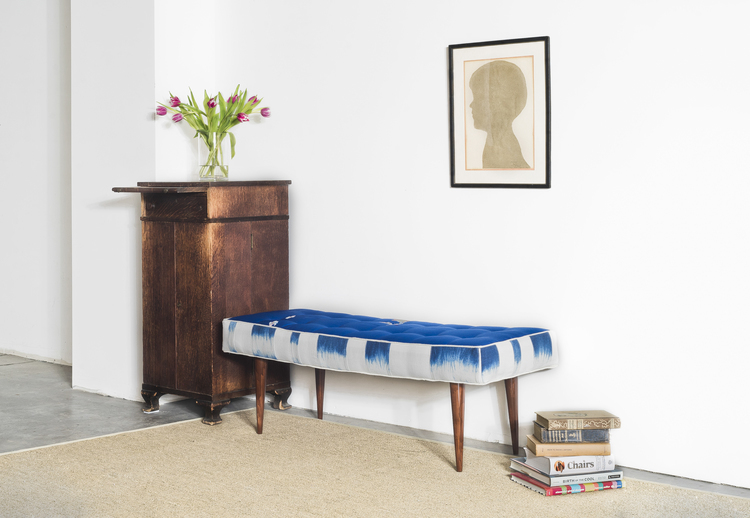 A bench Sonja recently upholstered at Five Finger Furnishings. 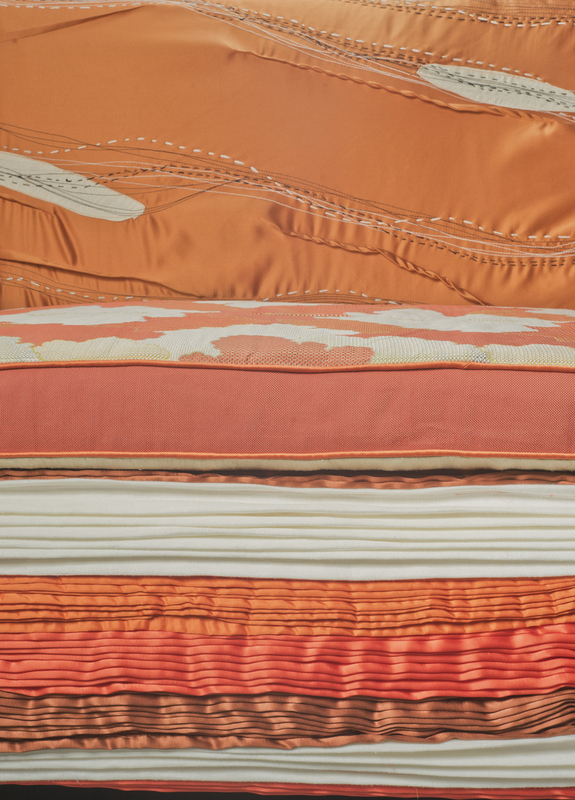 A recent collaboration between Five Finger Furnishings and textile designer Maki Yamamoto. Hemp can be beautiful! 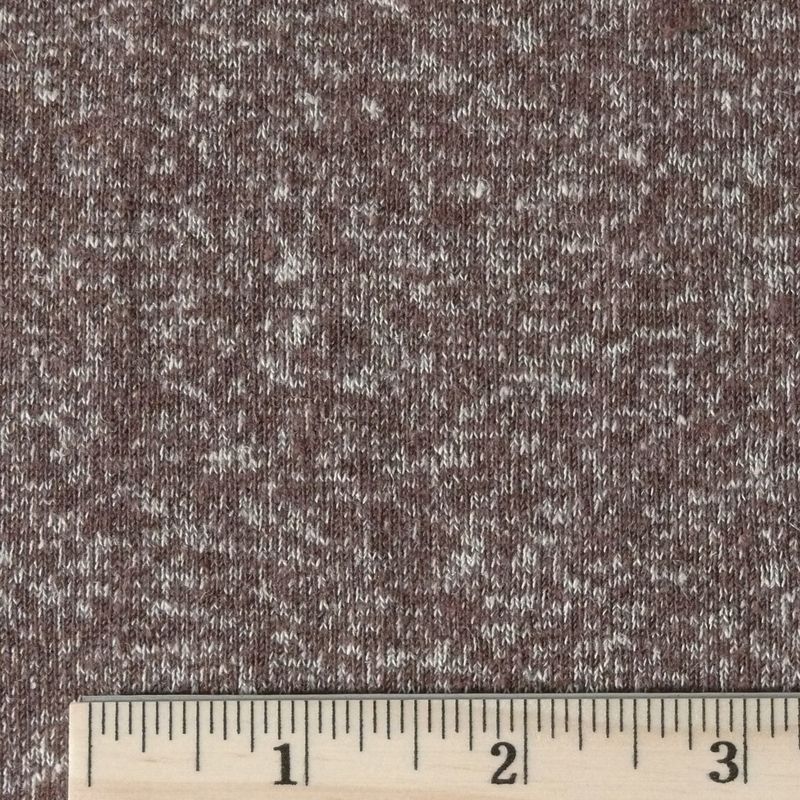 Here’s some of the strong-yet-pretty hemp knit Sonja has on the Hell Gate Fabric site. What a delightful interview! I loved hearing you two laugh together! So Charming! I so enjoy your podcasts. I’ve listened to each one. I will go over to Patternreview and let everyone there know about your new podcasts. She really is! Thanks for listening! I love your podcast, and have been listening episode by episode. I’m a sheep shearer and wool classer and, in the case of wool, it usually is tracked (at least, in New Zealand, Australia, and the U.S.) to both the classer and the farm it came from. This information is included in standard bale labels, and is listed in commercial auction catalogs. The information on the wool itself, so far as quality (length, strength, crimp, fineness, etc.) is assessed through multiple grab and core samples per bale, which are sent to testing labs. This is also included in the auction catalogs and influences the purchase decisions commercial buyers make. Good stuff! Wow! Thank you for this info! That’s fascinating. And thanks for listening!